Most of the Motorola Moto Smartphone's comes with Moto Display, The Moto Display can show you a sneak peak of your notifications, even when your display is off, so you stay in the know without having to do a thing, Along with Moto Display, The Motorola Smartphones do feature a Hidden LED, Which can be enabled via Root. 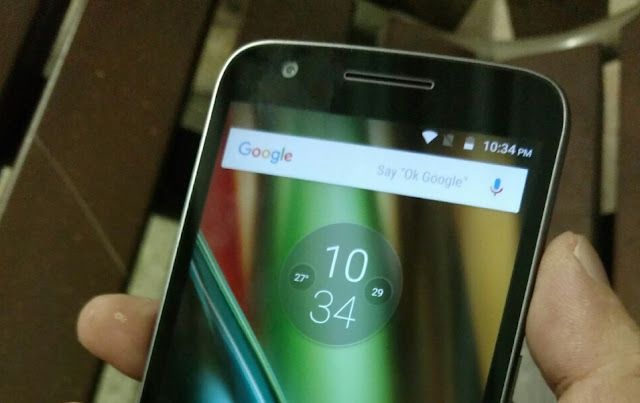 Days back Lenovo announced Moto E3 and E3 Power, Since Both the smartphone is powered with a Mediatek MT6735p processor, The Smartphone will not feature The Moto Display Feature and Will come out with a Notification LED. In Addition to, The Moto E3/E3 Power comes with a Removable Battery (Same as Moto G4 Play). Both the Smartphone (E3 and E3 Power) features same specs and design. Only Difference includes, Moto E3 Power has a maxx 3500mAh battery with Quick Charging support.